Dublin, Ireland – 30th September 2013 StoryToys, a publisher of award-winning 3D interactive books and games for children, has today announced the launch of its newest book, Good Night Mo, which will release on 3rd October 2013. StoryToys is known and loved by children and parents for its high quality storybook apps based on fairy tales, and more recently it’s bestselling book based on the popular Chuggington animated series. Good Night Mo is the company’s first app based on a completely new and original character and story, developed in-house by the StoryToys team. Good Night Mo is a magically sleepy and comforting bedtime book, designed to help parents settle children between the ages of 15 months and three years into a regular and calming nightly bedtime routine. 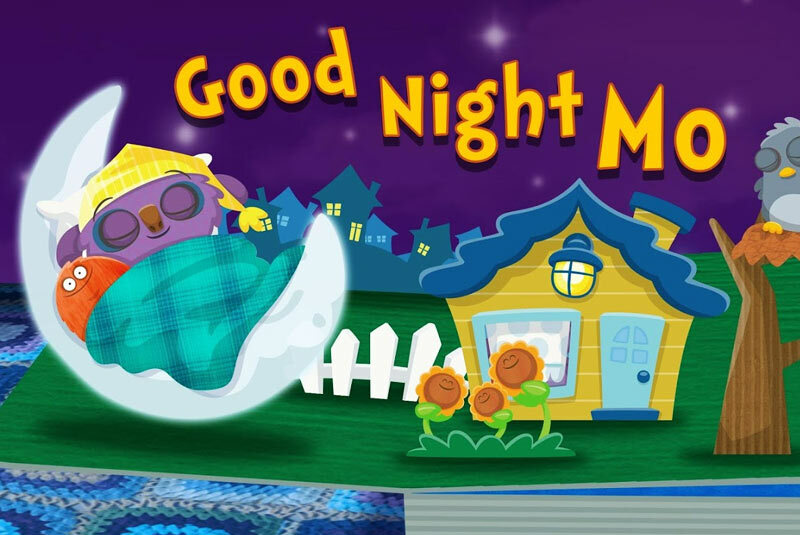 A gentle and soothing app, Good Night Mo reinforces the key steps to a child’s bedtime, without over-stimulating them. As night falls and the moon rises, a cute little monster called Mo starts to get ready for bed. From the very first yawn, little ones will discover enchanting surprises in each of the 3D pop-up scenes: they will delight in gently sending Mo’s pets to the land of nod, popping bubbles in a bath, brushing Mo’s teeth, and rocking the little monster to sleep. Beautiful imagery, gently rhyming narration, and soothing music make Mo’s bedtime routine the perfect way to wind down before going to sleep. English, French, German and Spanish versions, with more to follow. Goodnight Mo launches in the App store on 3rd October 2013, priced at $2.99 / €2.99 / £1.99 and will be available soon for Android. Headquartered in Dublin, Ireland, StoryToys creates and publishes highly innovative and entertaining software for children including interactive books and games. StoryToys is a registered trademark and trading name of StoryToys Entertainment Ltd. Apple, iPad, iPhone and iPod touch are trademarks of Apple Inc., registered in the U.S. and other countries. Google Play and Android are trademarks of Google Inc.